Are you thinking to remodel your closet or become tired of your old closet? So now these amazing walk in wardrobe can be your solution. With some good and perfect design now you can revamp and enjoy the walk closet of your dream. Walk in closets are a useful and easy solution to overcrowded closets and the frustration they bring. Walk in closet is considered as a figure of indulgence. 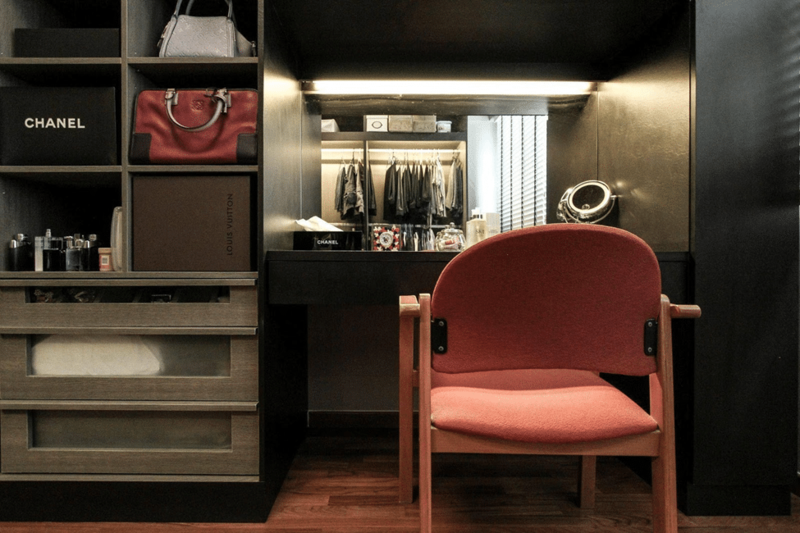 Here we will showcase some most useful and lovely walk in closet ideas designed by our interior designers which may assist you to generate a flawless, systematized dressing area. Island dressing room is a perfect choice if you have vast space, it can help you to shape your clothes, accessories and shoes in an awesome way. Edge Interior showed a perfect island walk in closet in which you can keep your things in a well-organized manner. Luxurious built-in vanity can add visual character to your walk in closet. This is the newest update to the walk in closet if space available, and give a stylish appearance to your island walk in closet perfectly depicted by the above picture designed by Icon Interior Design. Well-organized accessories and an innovative display of accessories can add glamour to your closet. You can display and organize your jewelry on inventive and stylish racks. This amazing walk in closet designed by Voila depicted the open display wardrobe with luxurious small couch seating, this makes the walk in closet really useful and space you want to adore. This sofa bench can add a charm to the closet. Light colors like white or other light shades give sparkle to your wardrobe add all attention to the clothes and accessories. Above picture designed by Unity Interior Design Pte Ltd perfectly depicted an ideal design of walk in closet. Hope you will consider these designs when remodeling your walk in closet.